We are manufacturer & exporter of a wide range of Sand Bags in many shapes and sizes. 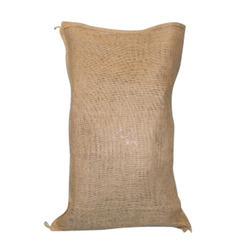 Our sand bags are manufactured from 100% natural Jute fiber. These are biodegradable hence, help in protecting the environment. We are manufacturer & exporter of a wide range of Sand Bags in many shapes and sizes. Our sand bags are manufactured from 100% natural Jute fiber. These are biodegradable hence, help in protecting the environment. Our sand bags find extensive applications for protecting riverbank from erosion, used in military and a variety of farm works.